Congratulations to Mt. 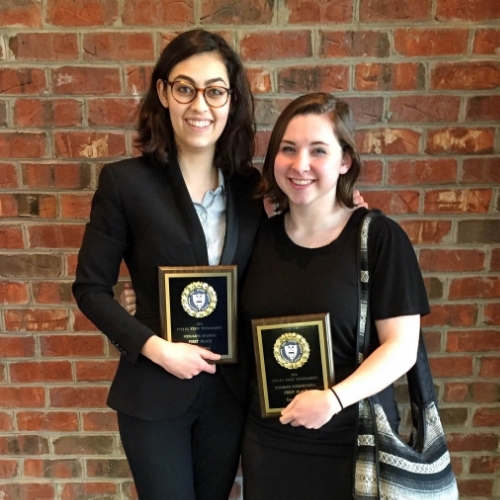 Lebanon High School Seniors Suzy Bushman and Madelyn Rice for winning the state championship in their events at the Pennsylvania High School Speech League state tournament held at Susquehanna University on April 8-9, 2016. Ms. Bushman won for Humorous Interpretation of Literature and Ms. Rice won in Persuasive Speaking. The team is coached by Mr. George Savarese.